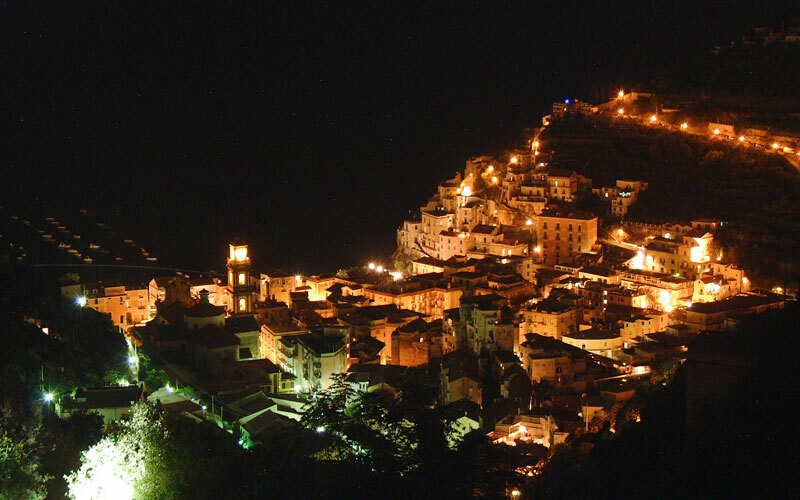 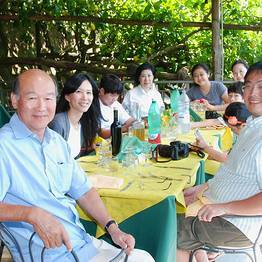 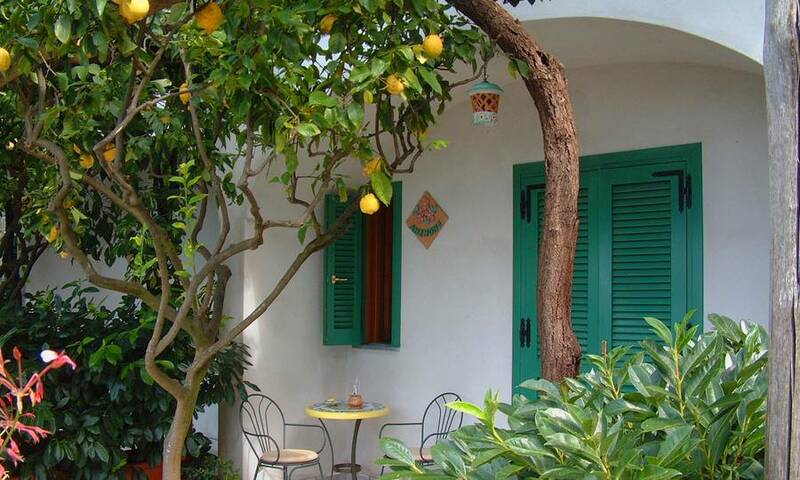 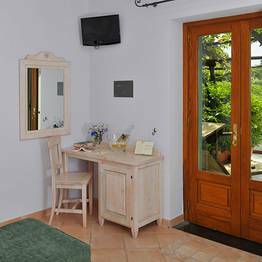 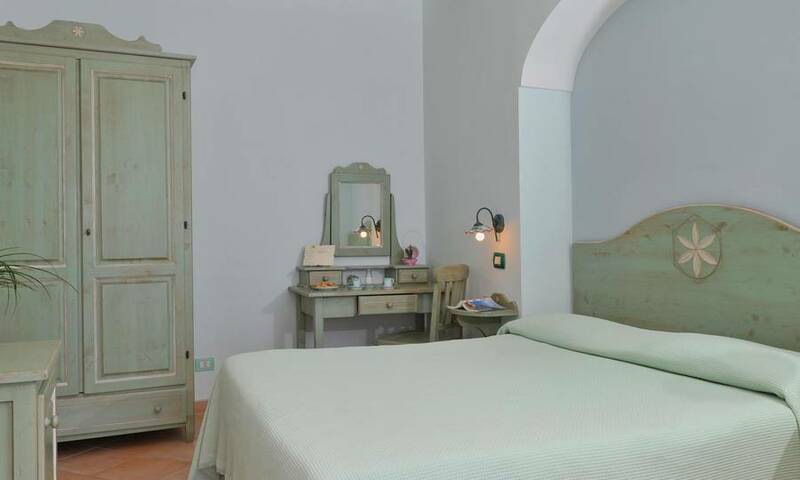 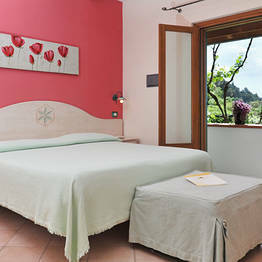 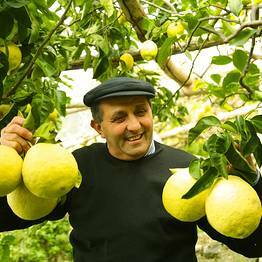 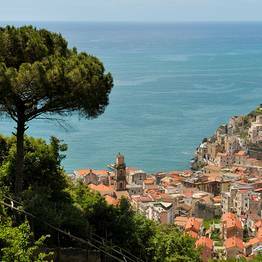 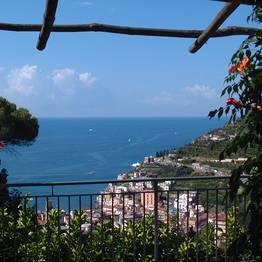 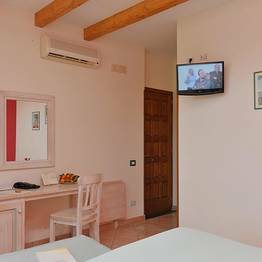 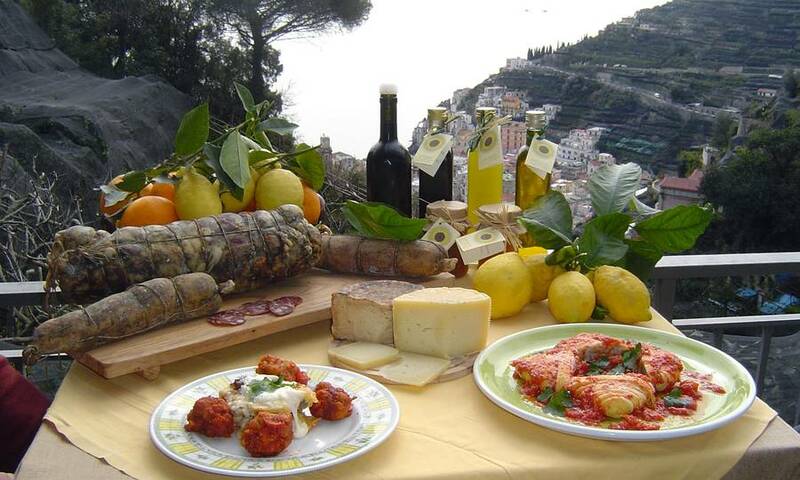 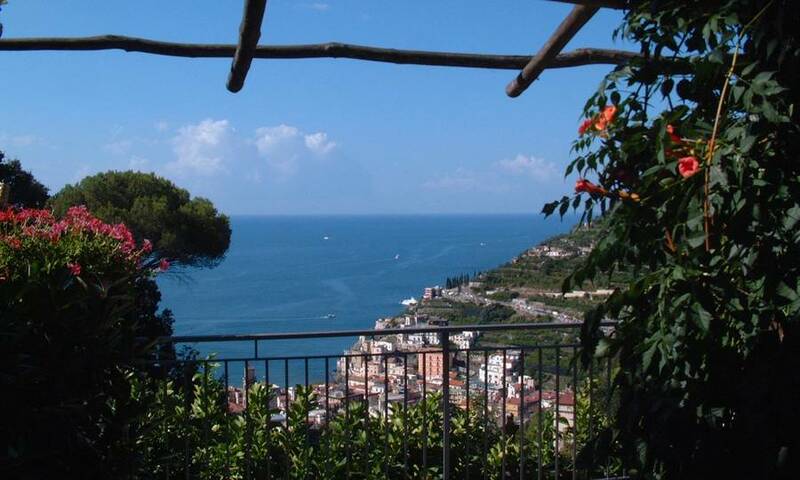 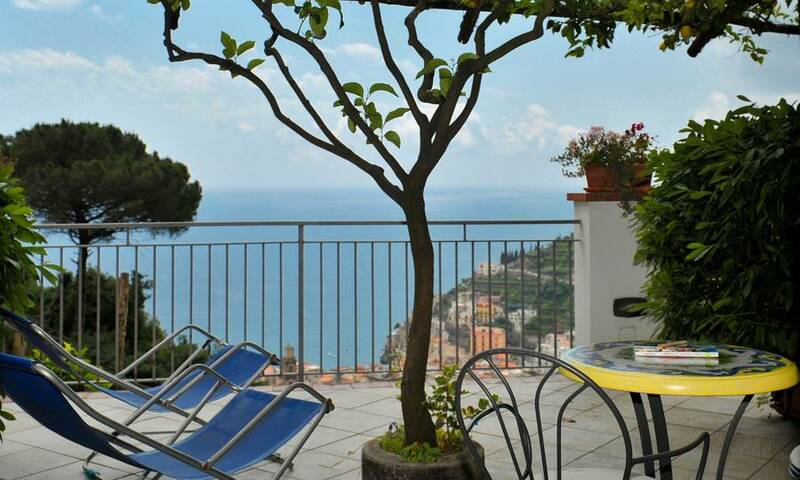 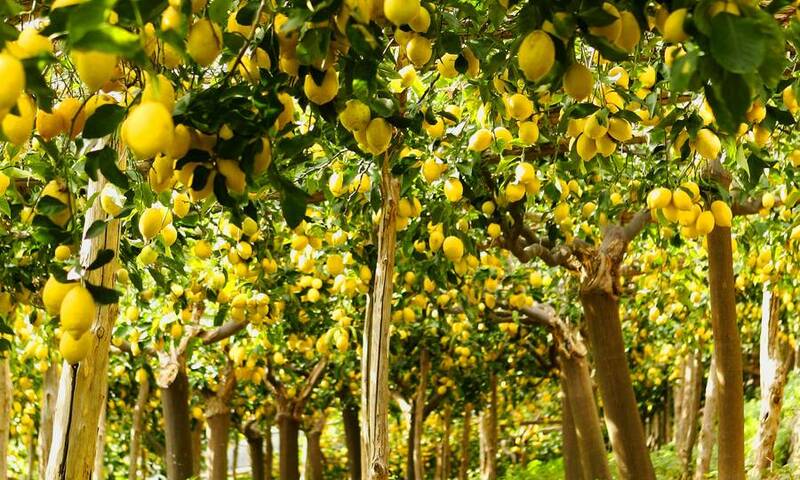 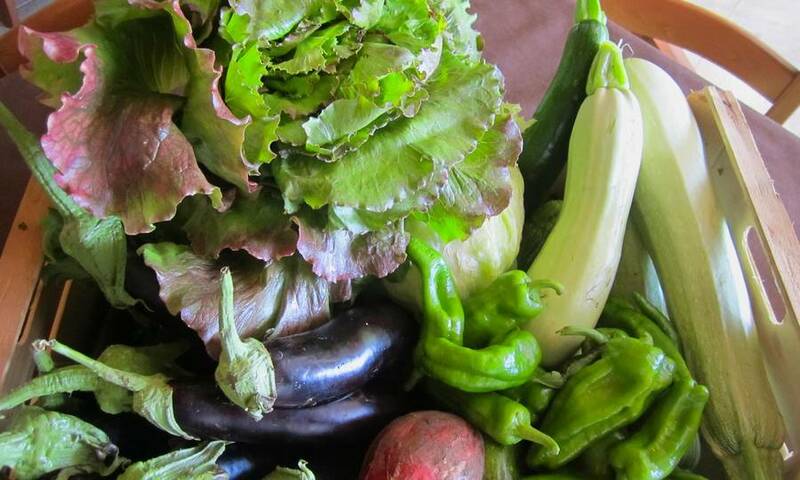 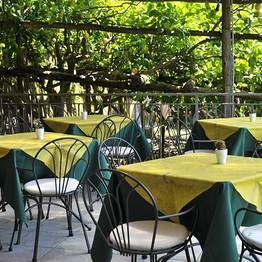 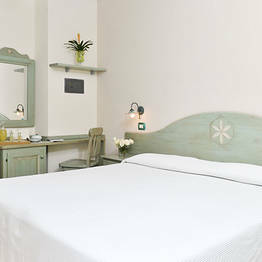 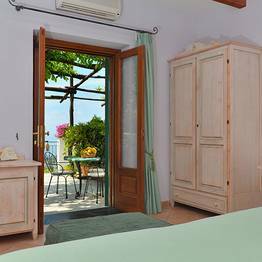 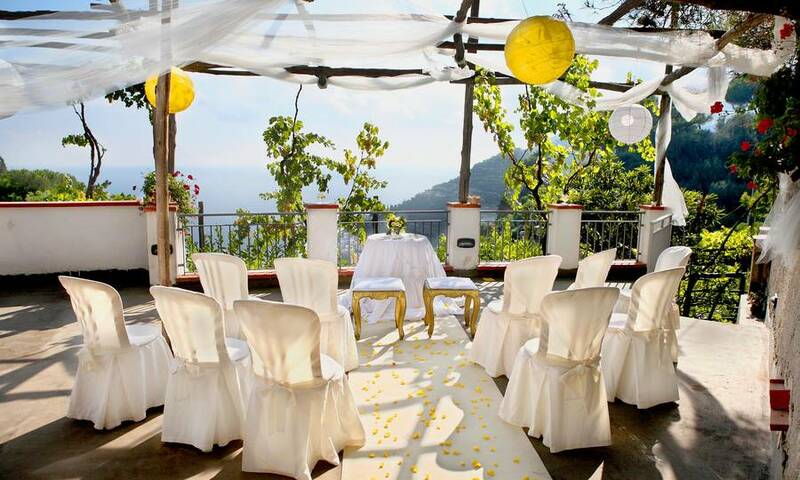 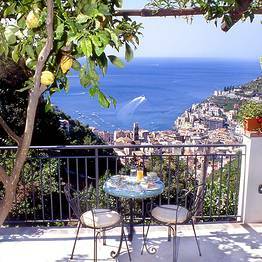 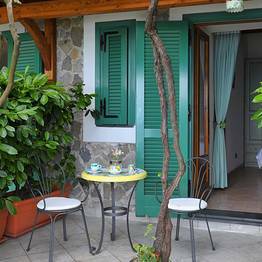 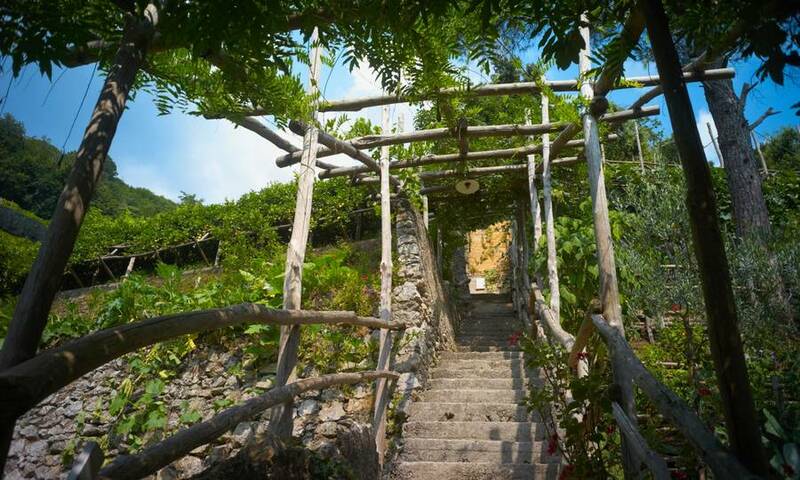 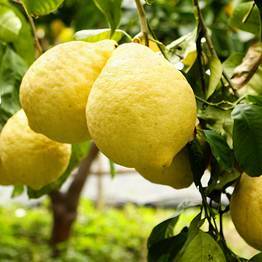 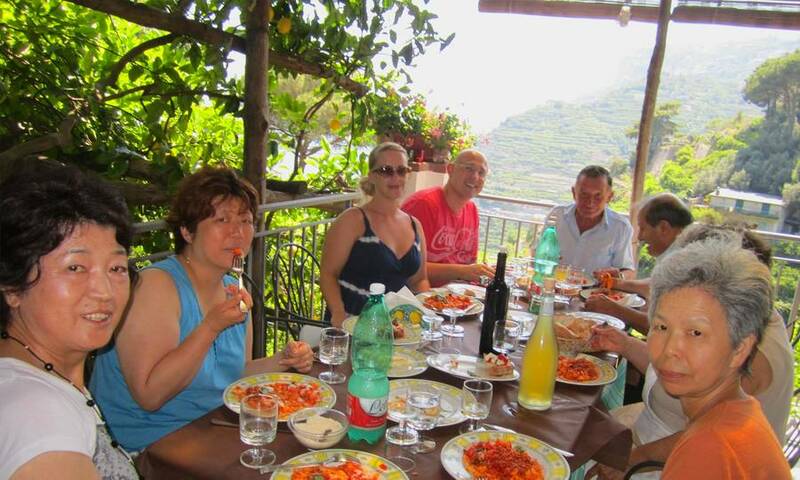 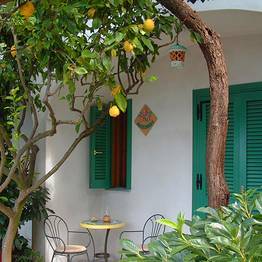 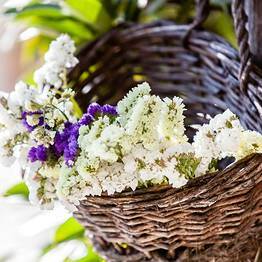 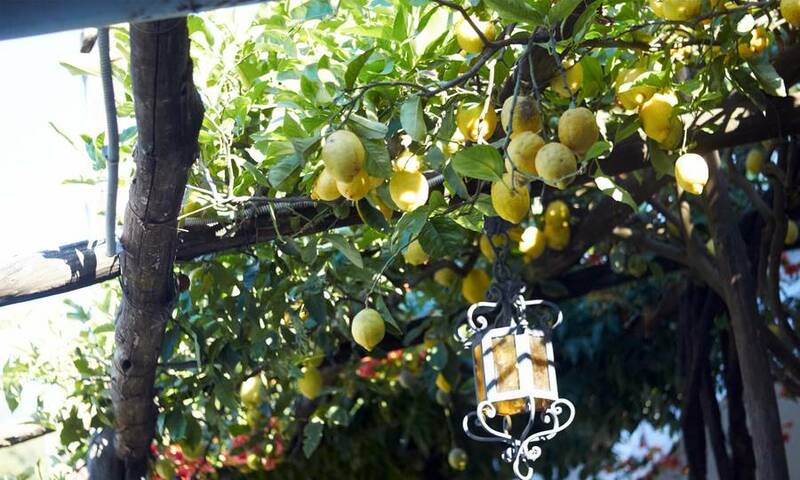 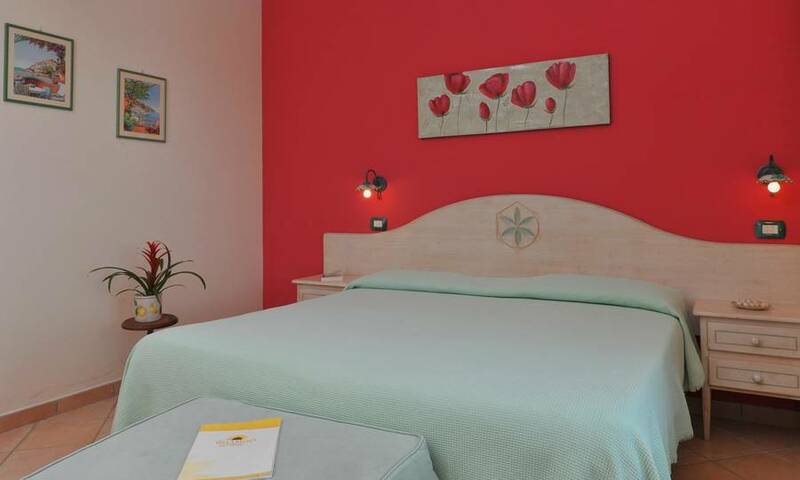 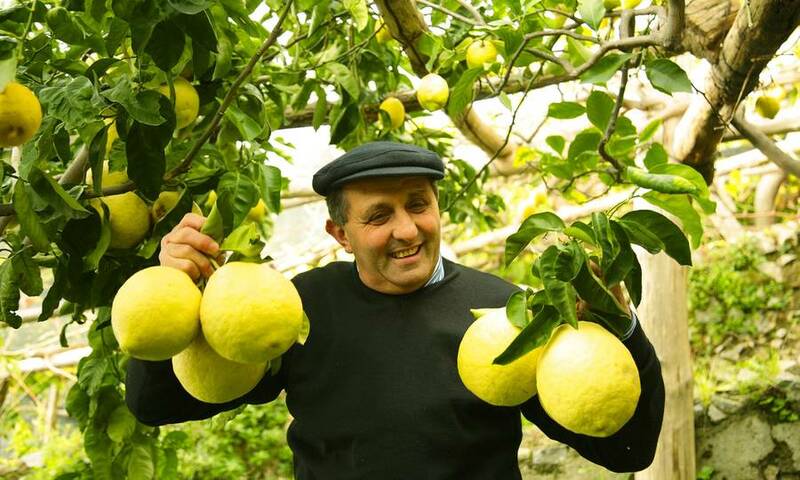 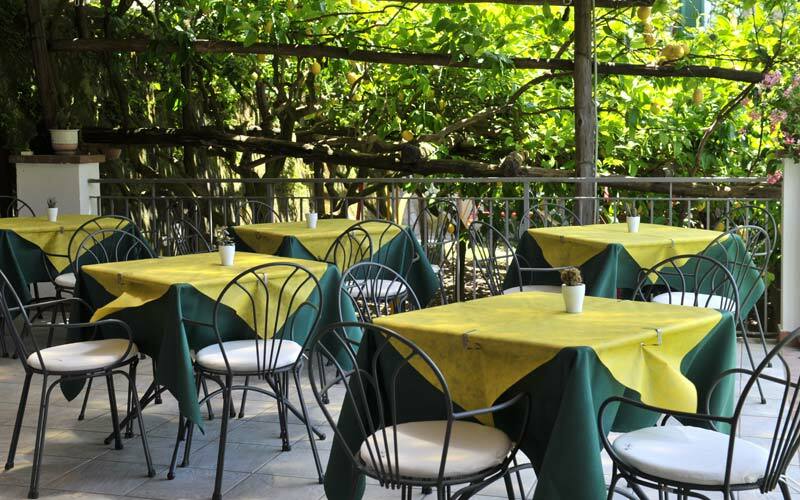 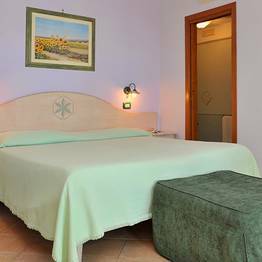 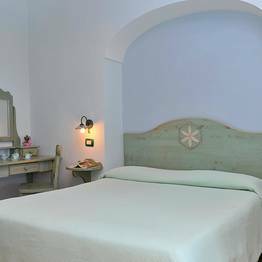 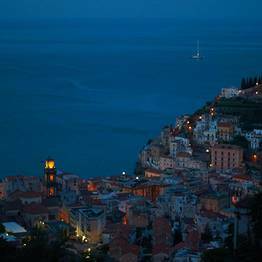 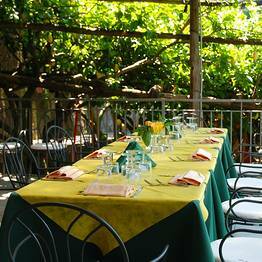 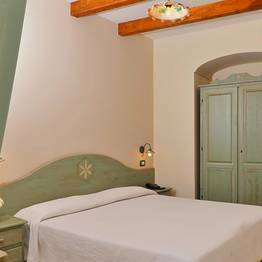 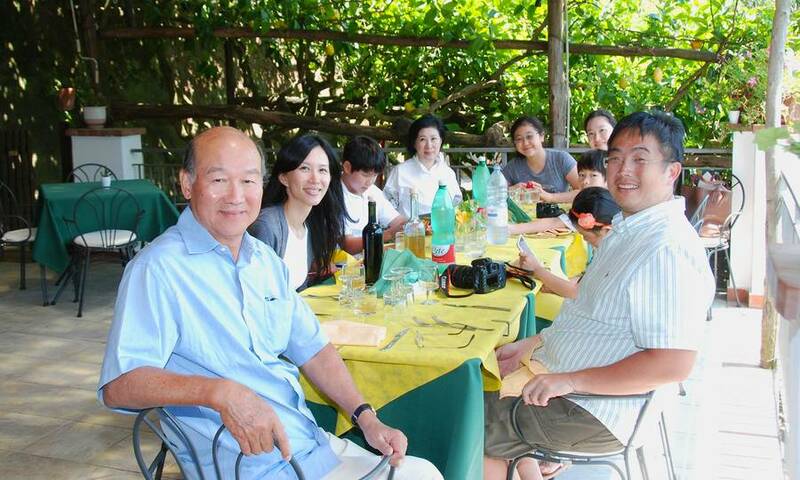 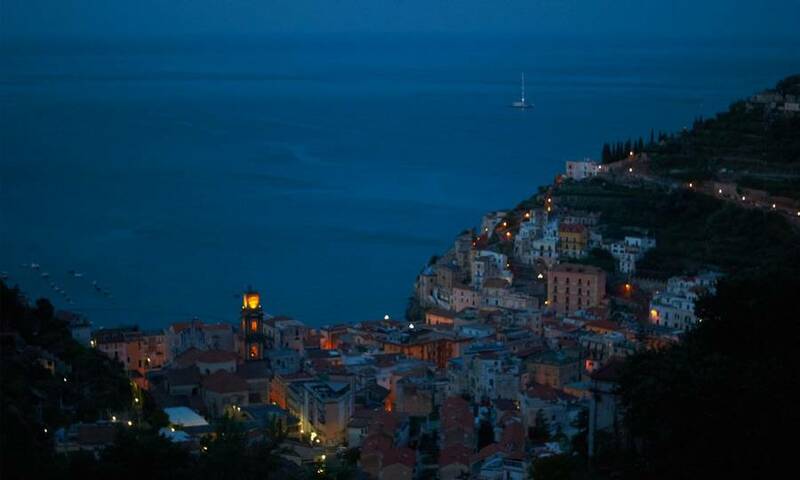 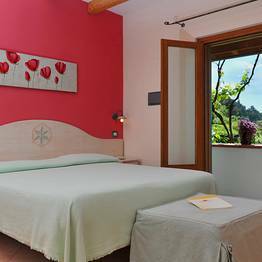 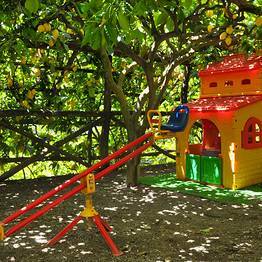 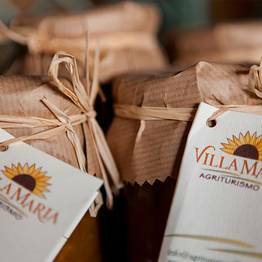 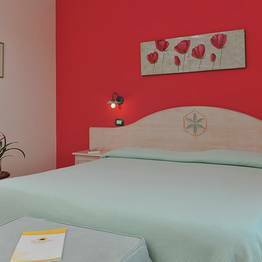 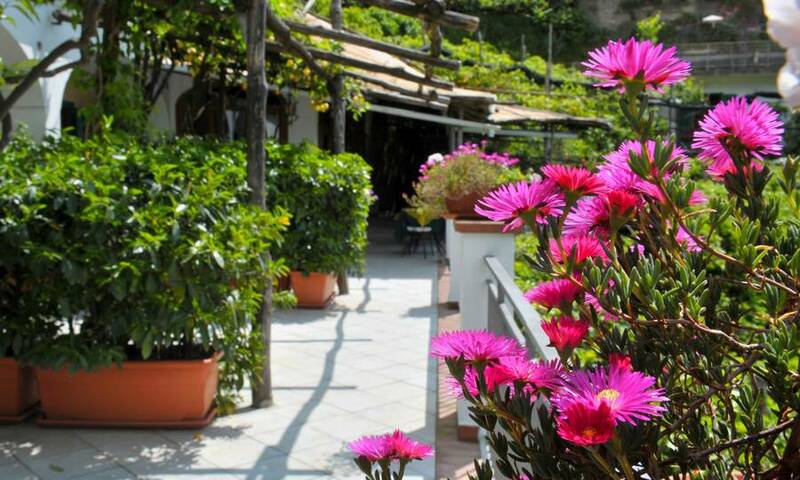 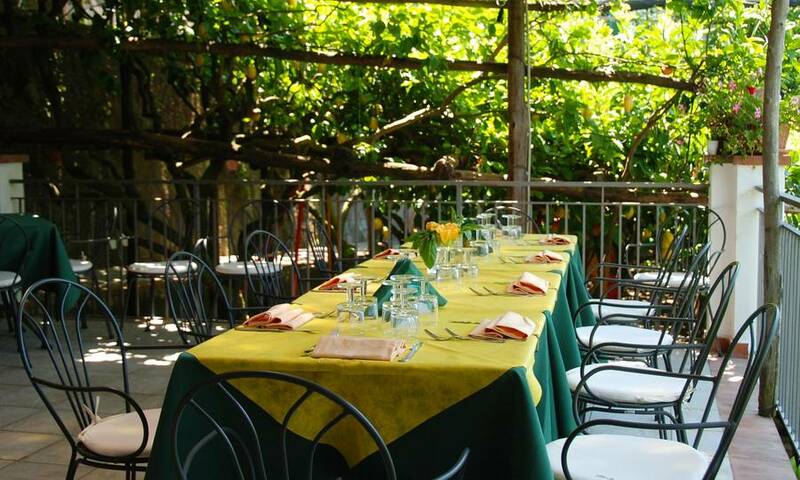 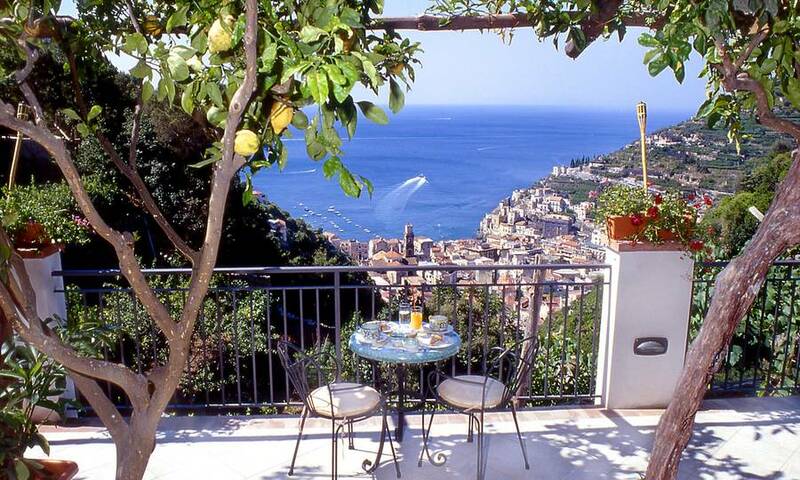 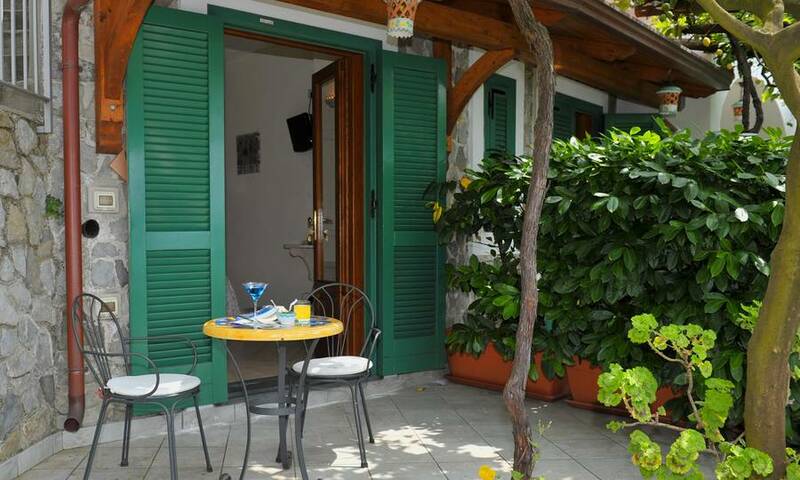 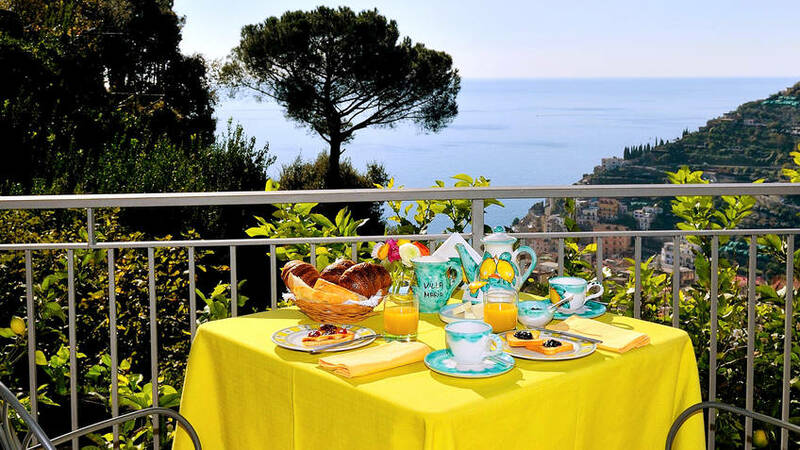 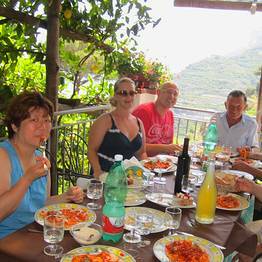 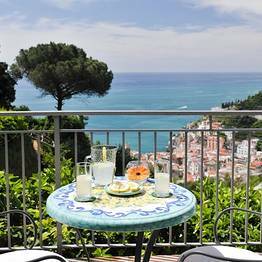 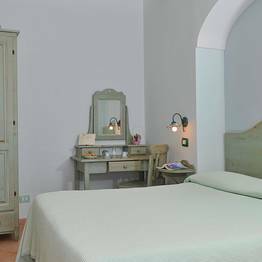 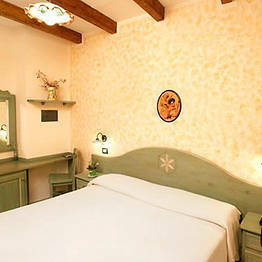 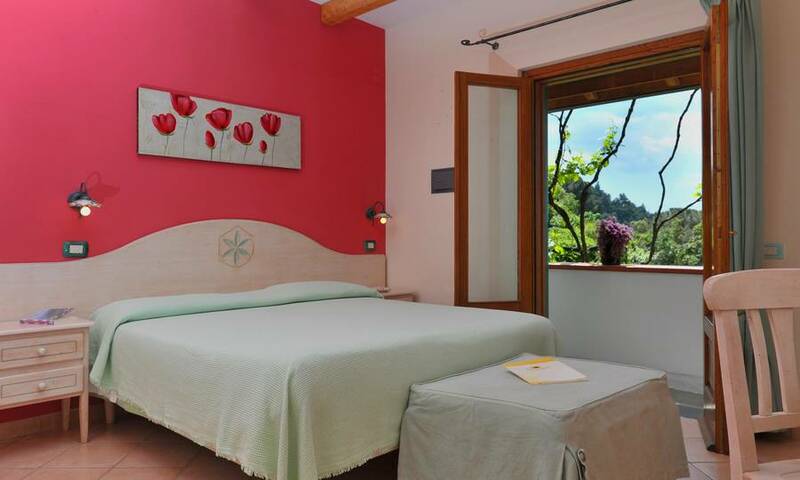 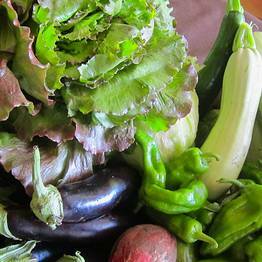 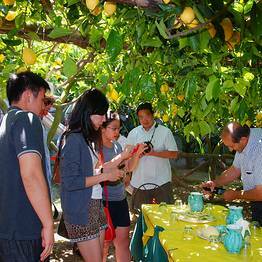 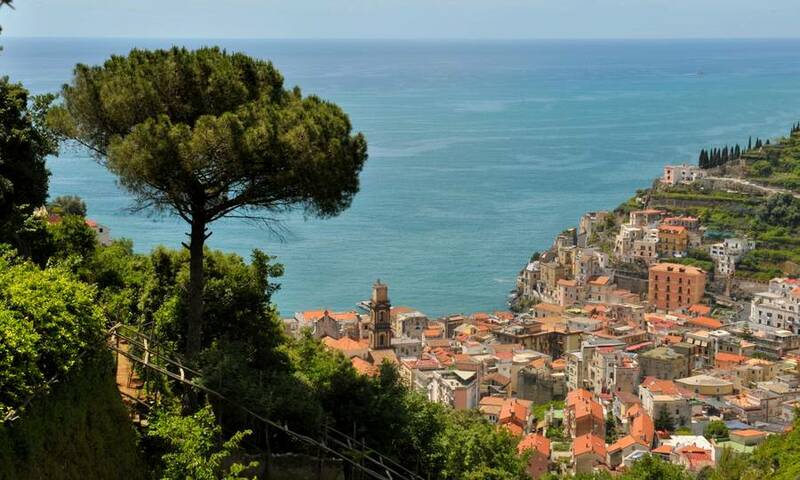 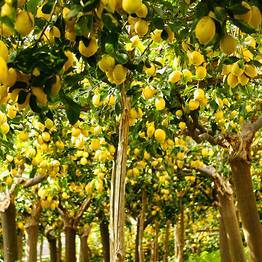 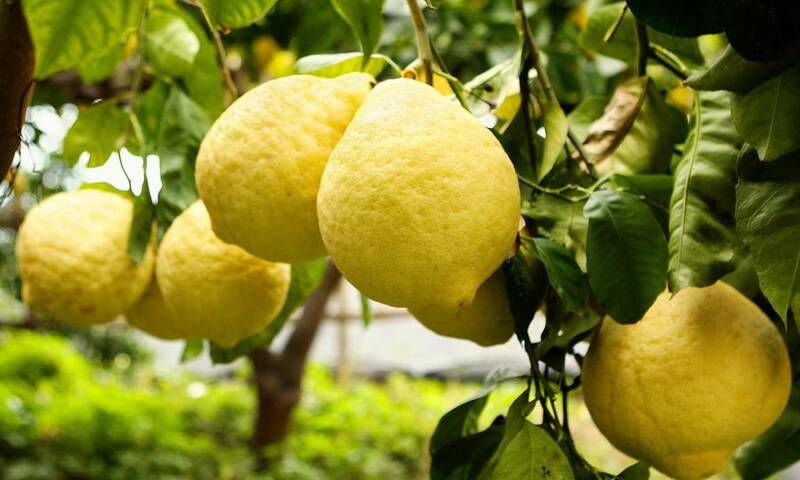 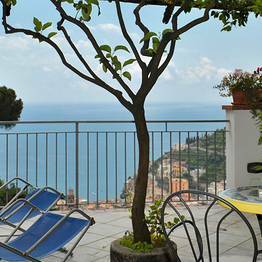 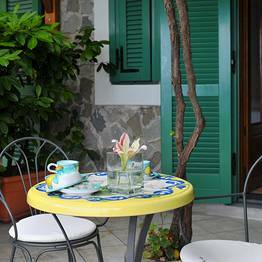 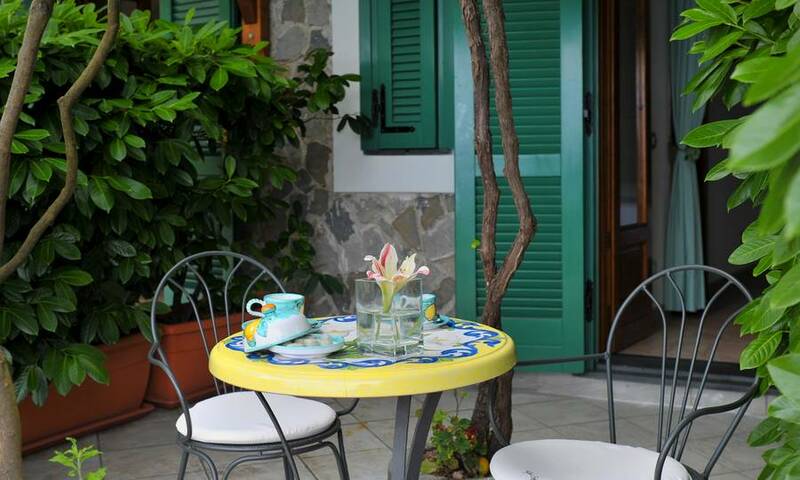 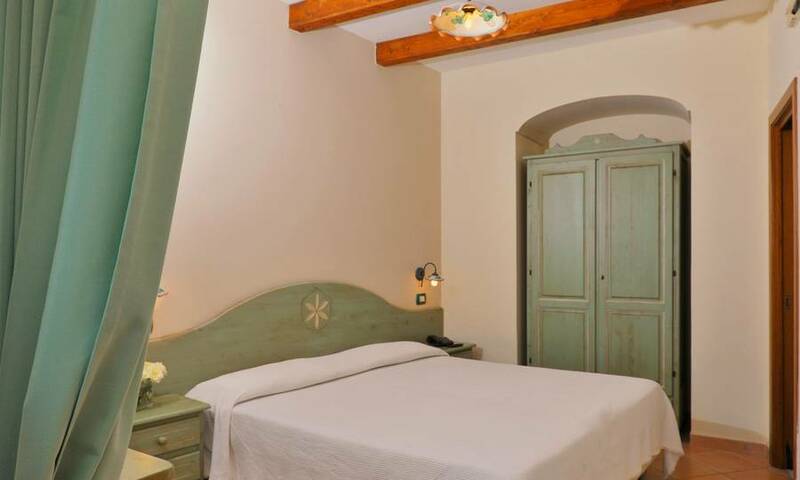 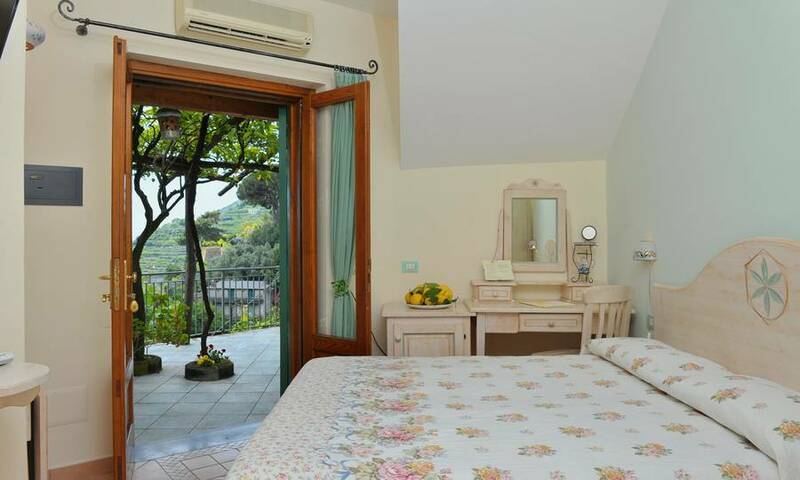 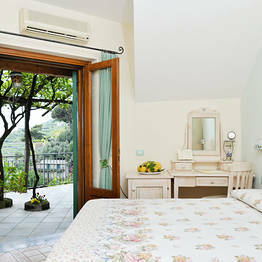 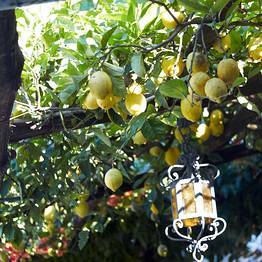 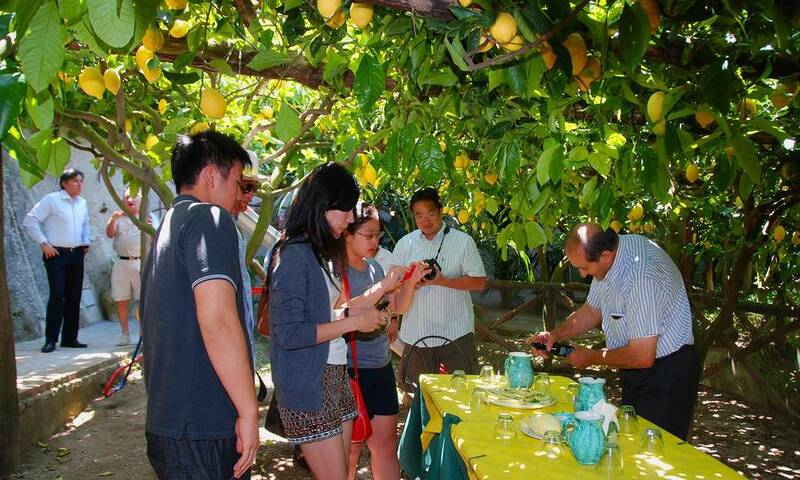 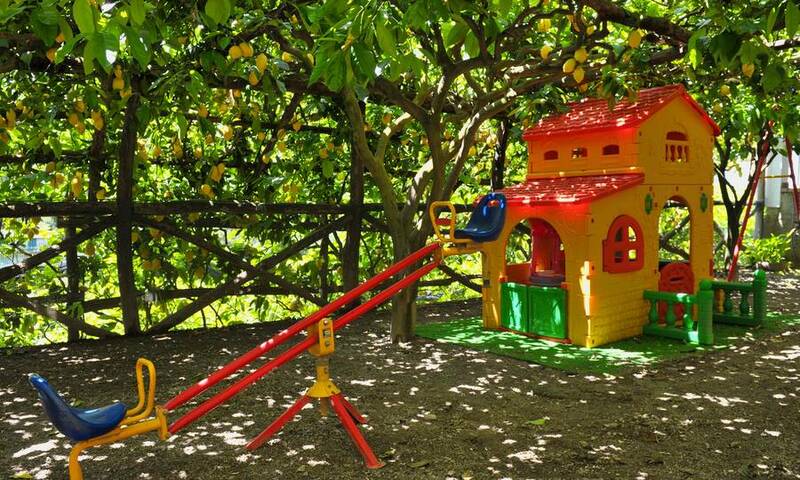 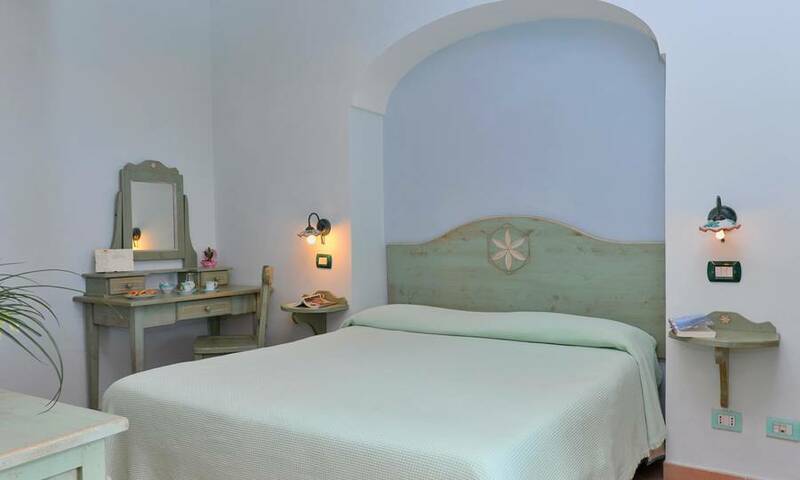 A farm stay between the countryside and the sea the Amalfi Coast. 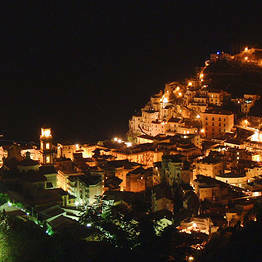 Discover the ancient rural traditions of the "land of lemons"
For those who associate the 'Amalfi Coast with film stars, luxury yachts, and glamorous five star hotels, it may come as a surprise to discover that, in the hills just above the fishing village of Minori, there is a country residence and farm stay in which to experience a truly authentic slice of life on this beautiful stretch of the Italian coastline, a world away from the celebrity-packed pavement cafes and elegant boutiques below. 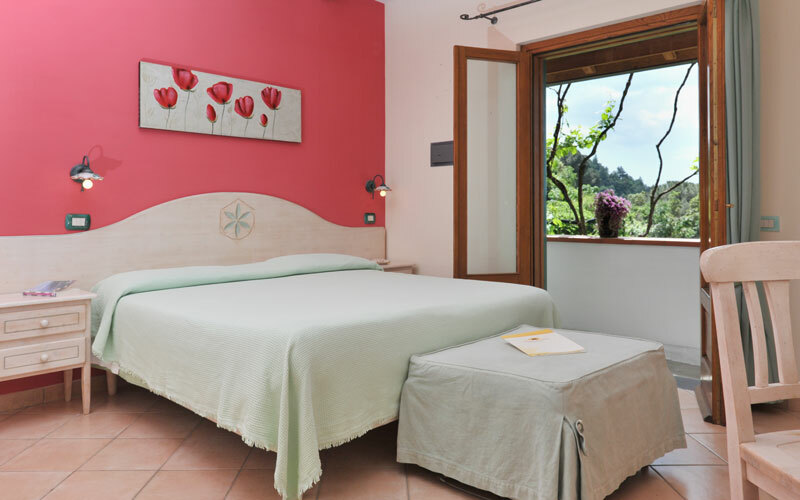 A gorgeous little Mediterranean retreat, Villa Maria has been designed as a peaceful home-from-home in the heart of the Amalfi Coast. 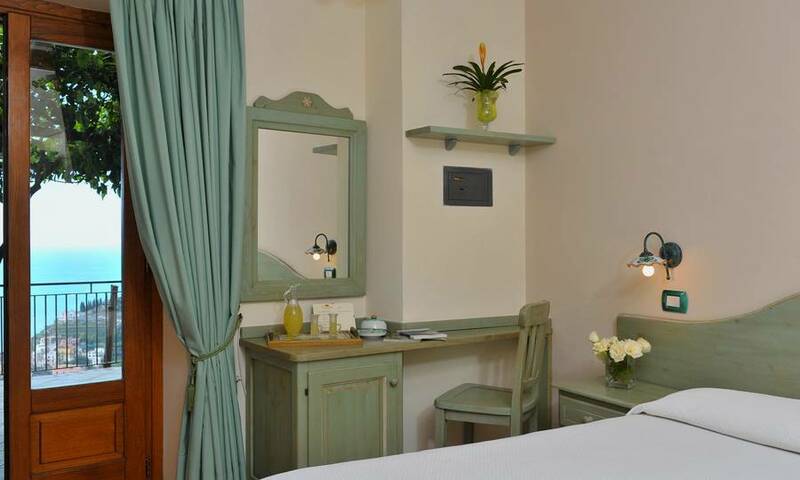 Bedrooms are tastefully furnished and equipped with every modern comfort, from satellite television to hydromassage showers. 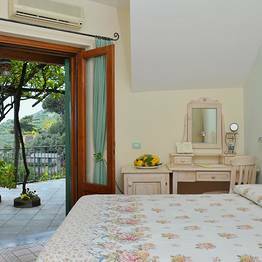 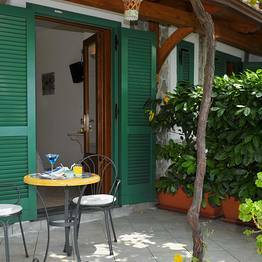 Each room opens out on to its own private terrace overlooking the delicately scented lemon trees and the grapevines surrounding the property. 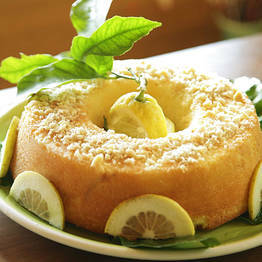 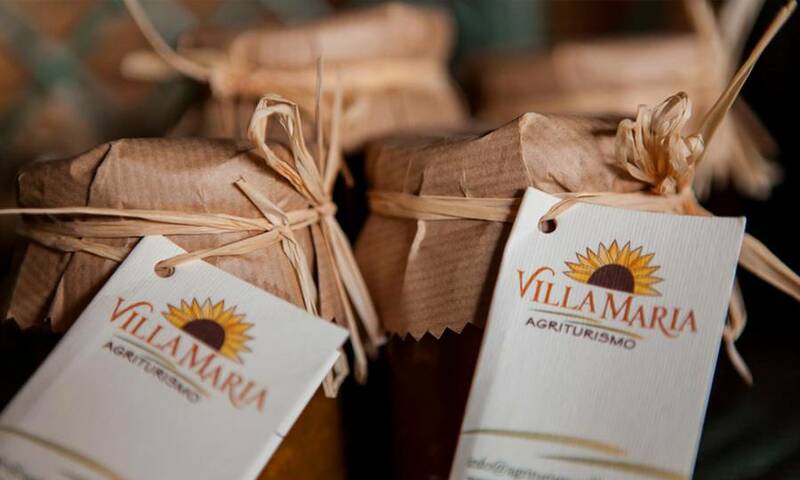 At Villa Maria days commence with a delicious breakfast of freshly baked cakes and homemade jams. 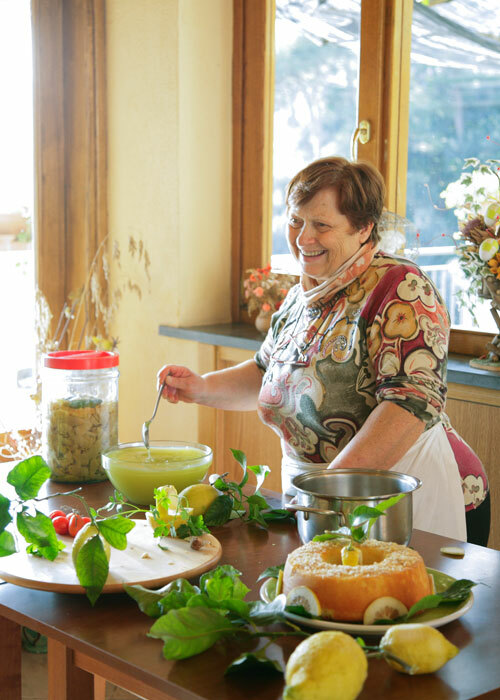 Genuine ingredients, age-old family recipes, a passion for the local cuisine and for the wines produced on the estate, together, make each and every meal served at the guest house unique. 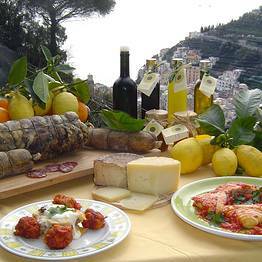 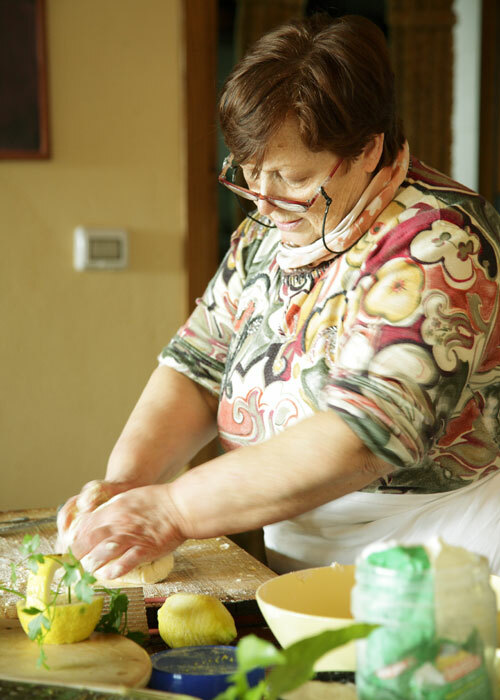 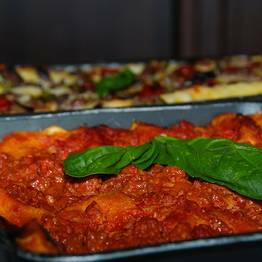 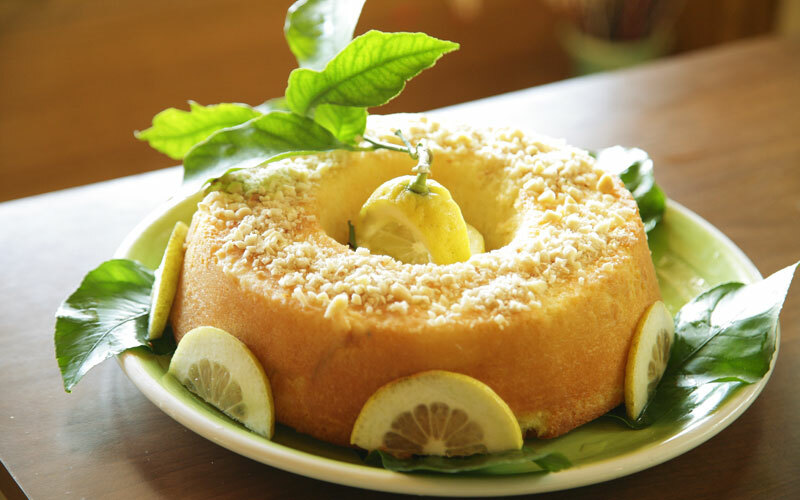 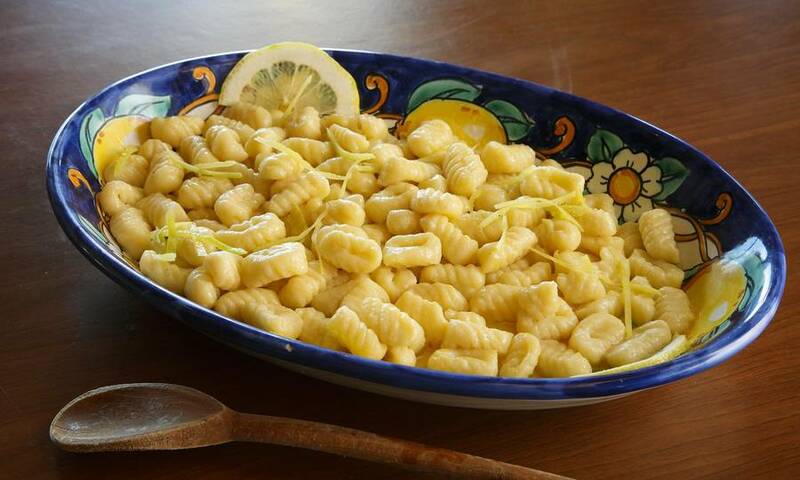 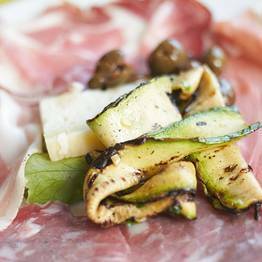 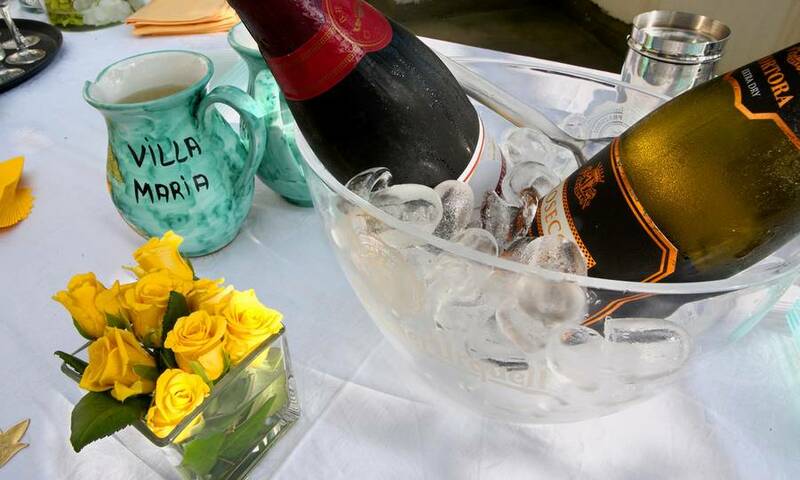 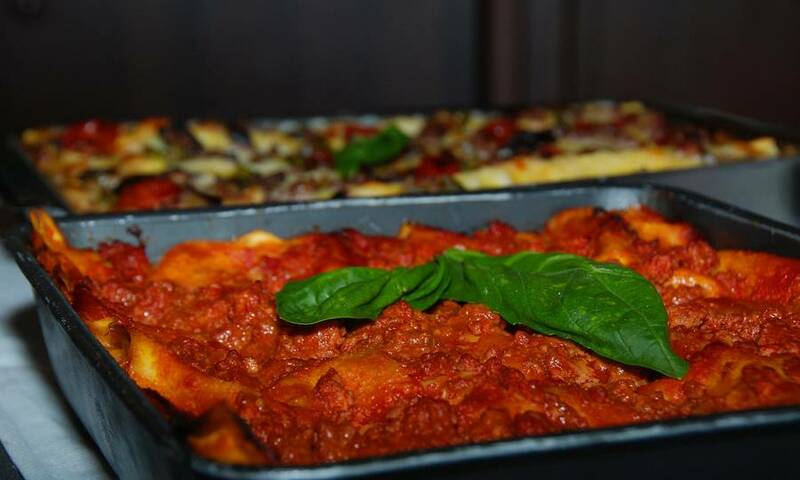 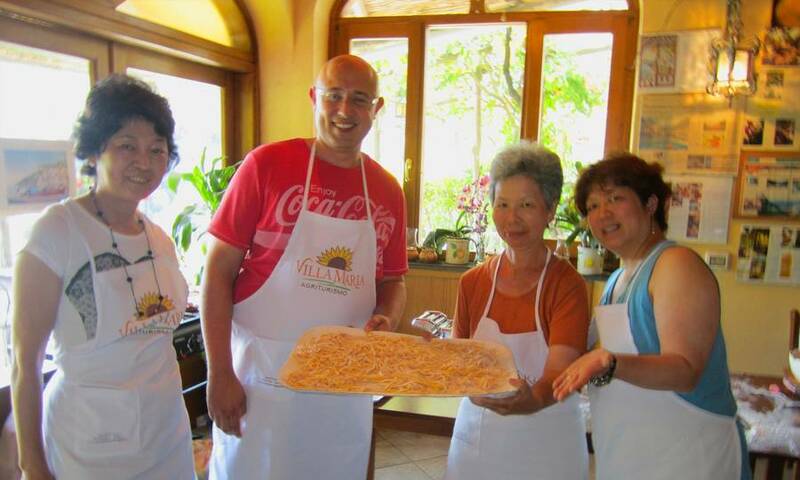 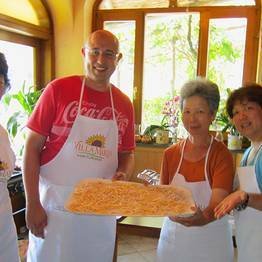 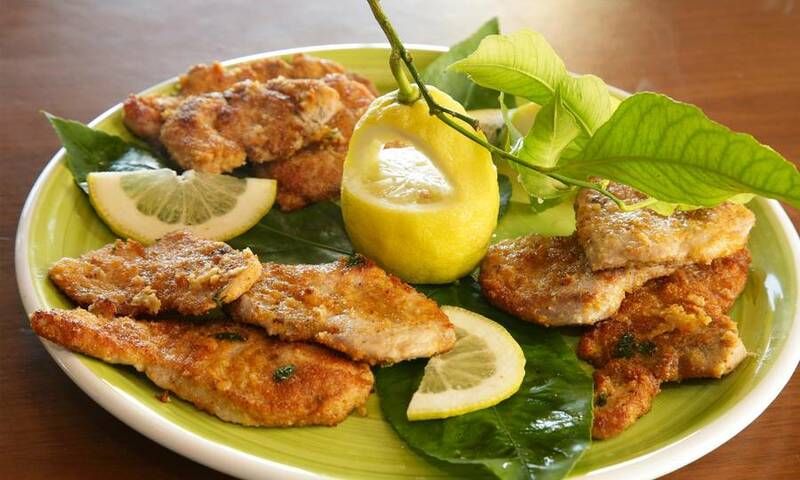 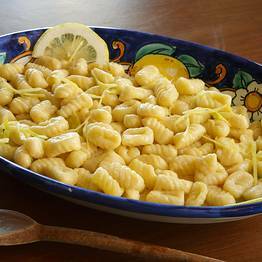 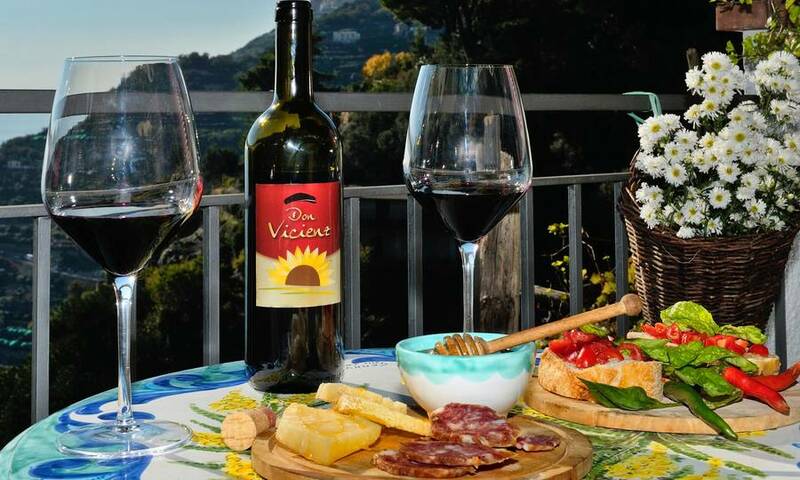 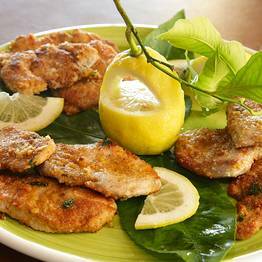 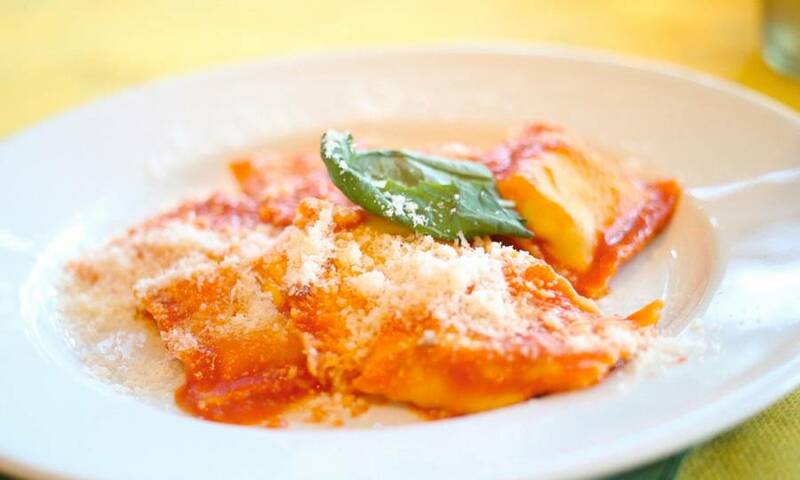 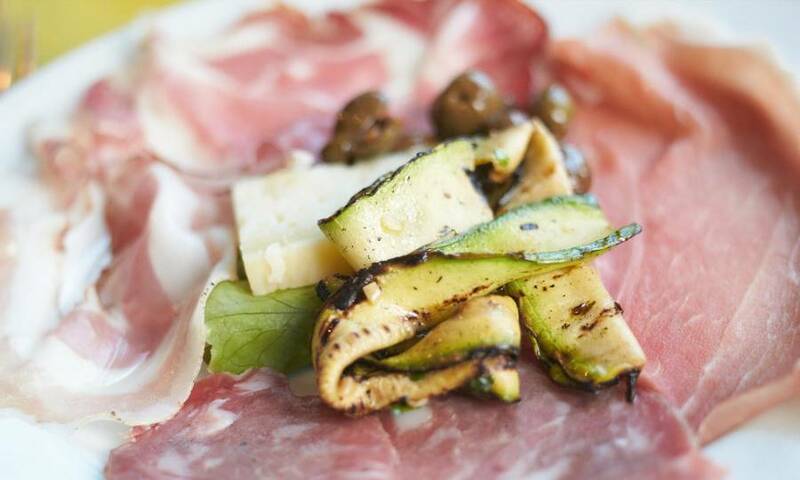 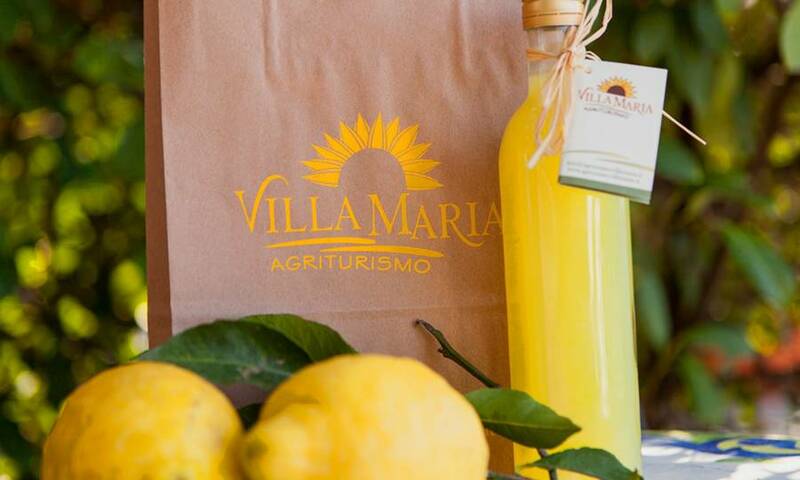 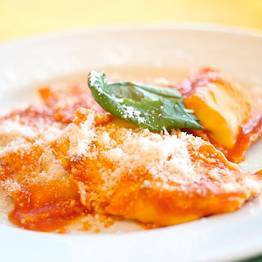 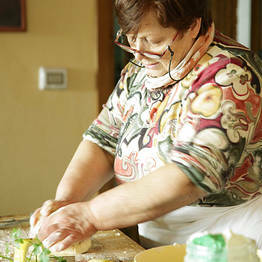 For those eager to learn some of the secrets of the Amalfi Coast's gastronomic tradition, Villa Maria organizes entertaining, hands-on cooking classes. 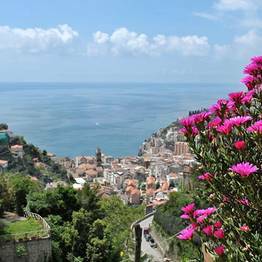 Using the hotel's shuttle service, guests quickly reach the beaches and historic center of Minori, a much-loved bathing resort since Ancient Roman times and the perfect point of departure from where to explore the other historic towns on the Amalfi Coast, such as nearby Ravello, Amalfi and Positano. 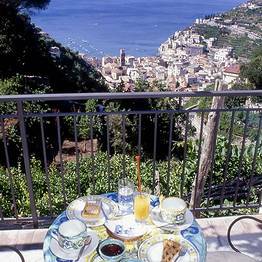 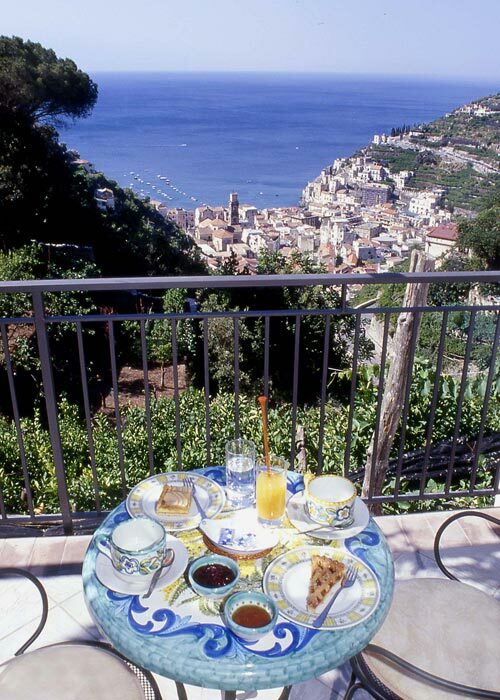 From its terraces, furnished with wrought iron tables and chairs, Agriturismo Villa Maria boasts spectacular views of the sea surrounding the Amalfi Coast and the historic center of Minori, home to the Basilica of Santa Trofimena and the Ancient Roman villa, in which a number of incredibly well-conserved mosaics and wall paintings can be seen. 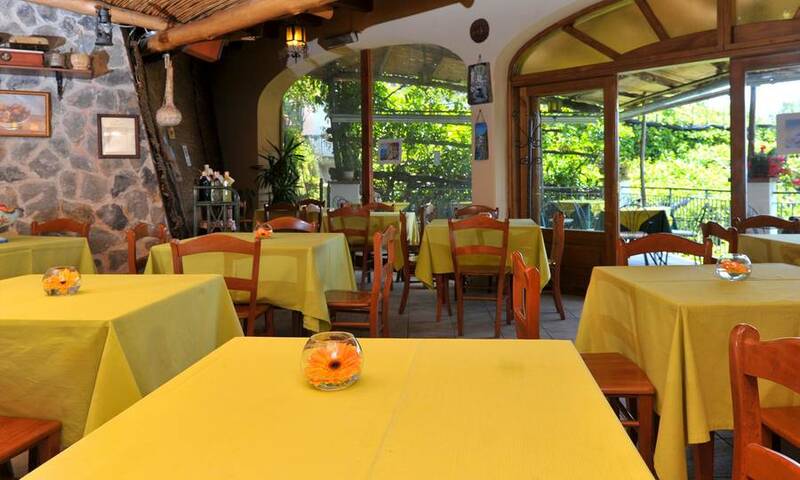 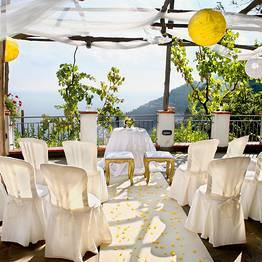 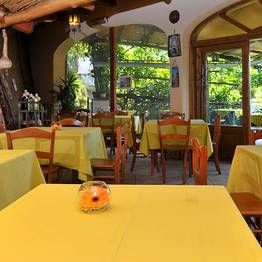 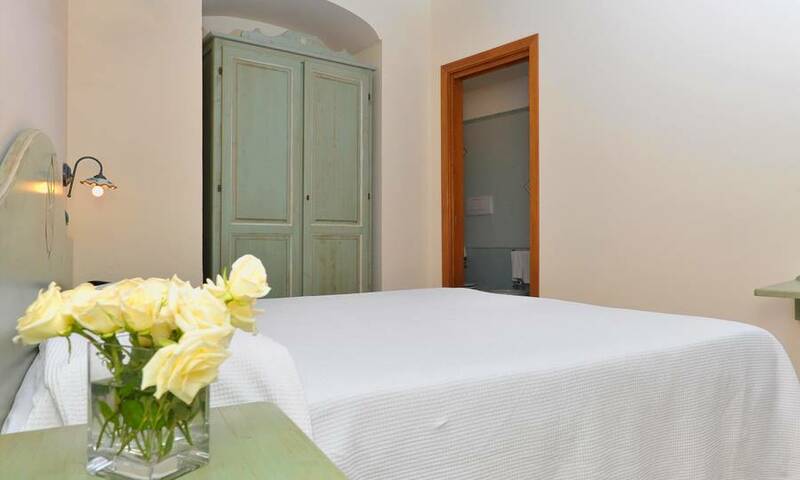 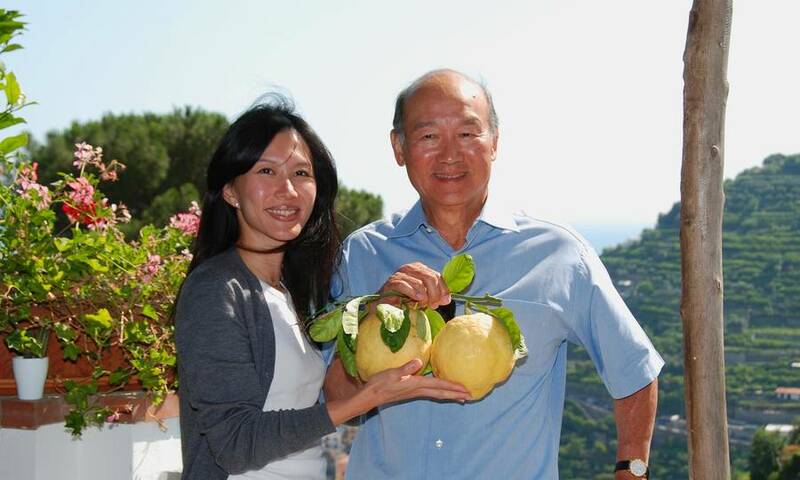 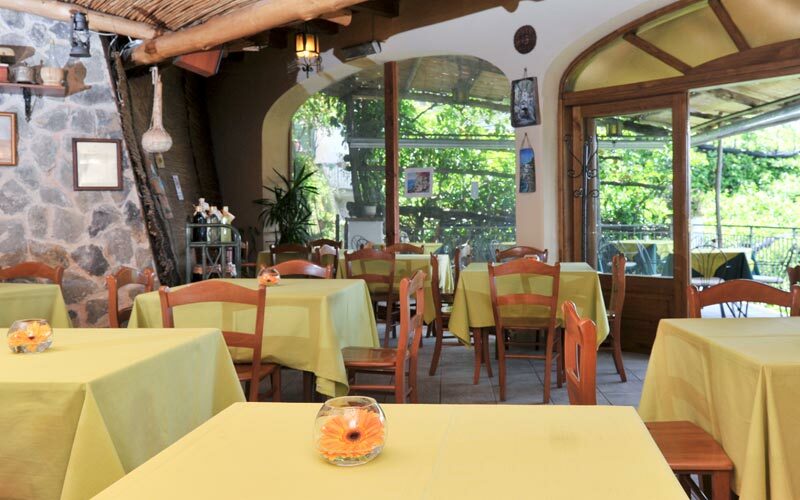 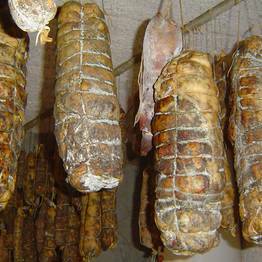 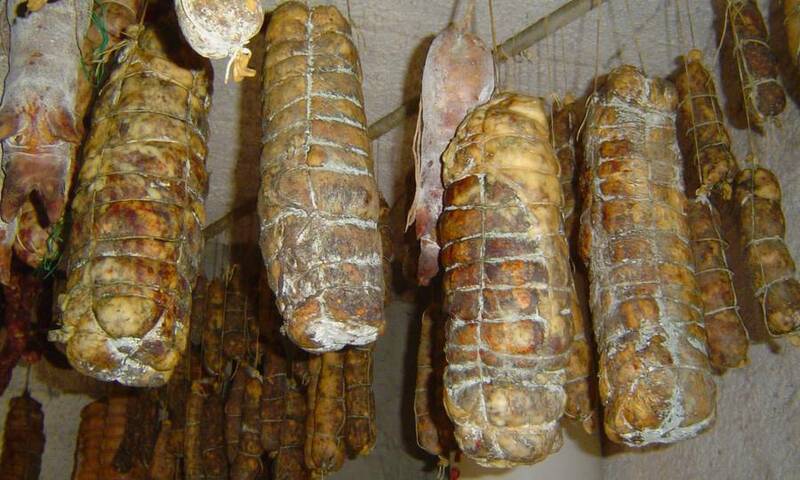 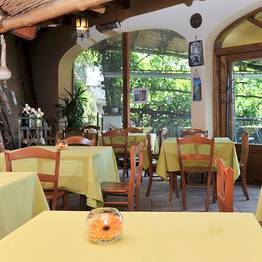 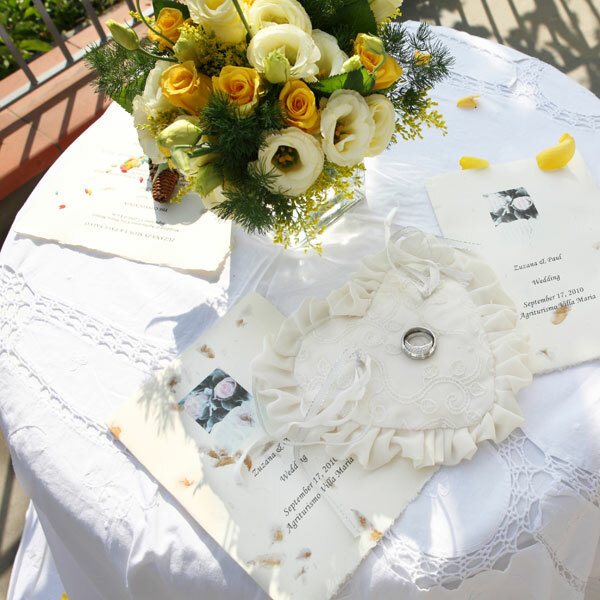 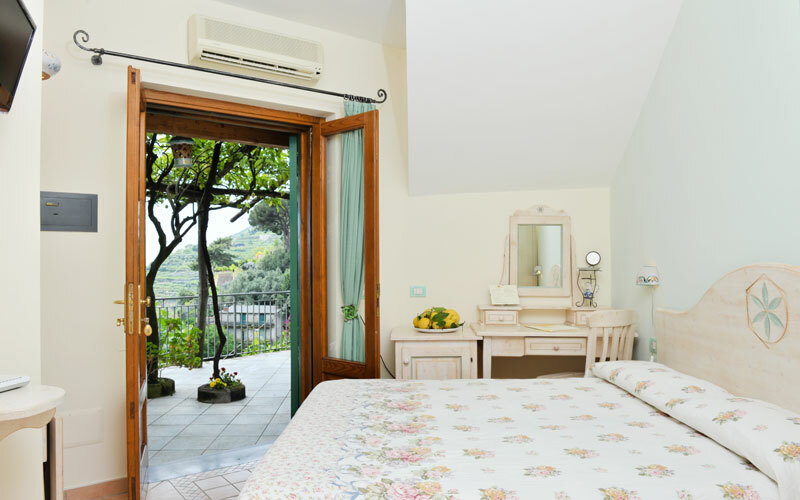 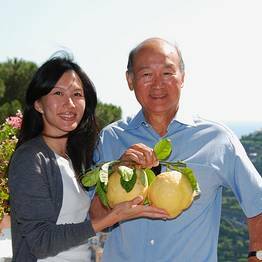 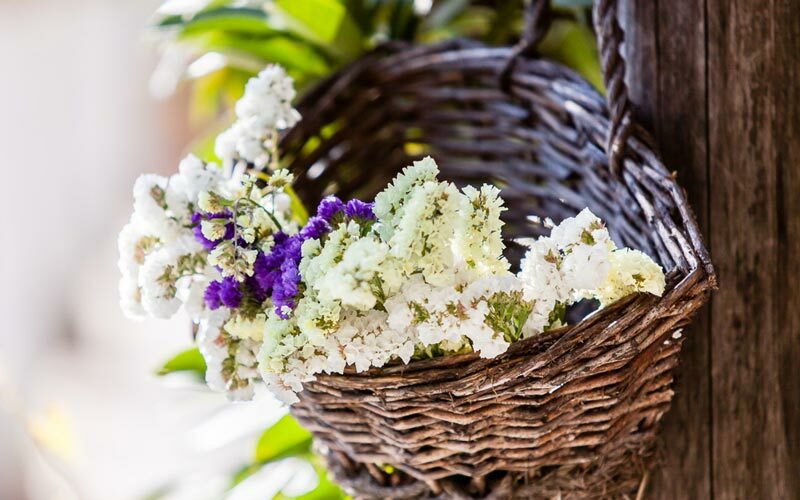 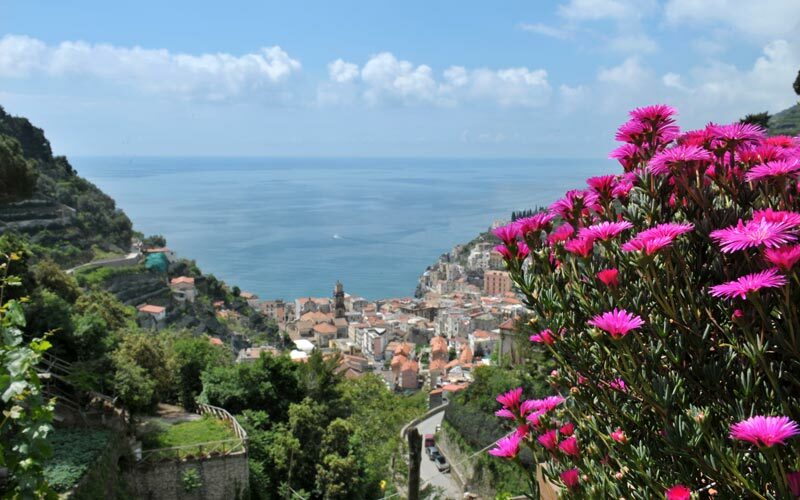 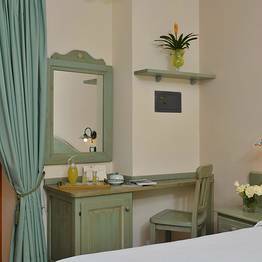 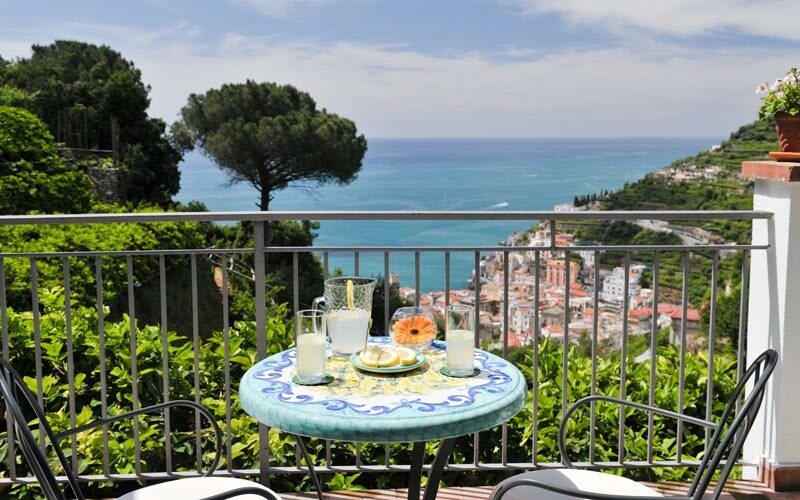 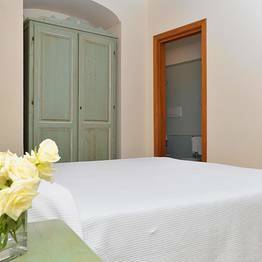 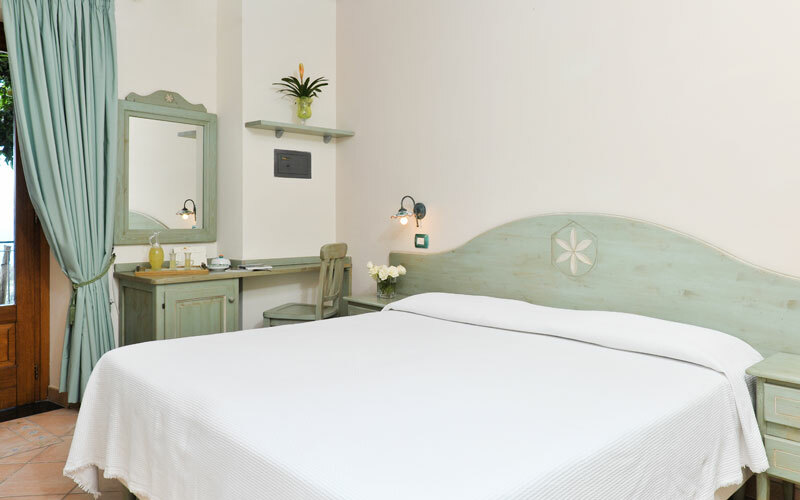 Minori provides the perfect base from where to take day trips to the historic coastal towns of Amalfi, Positano, Maiori, Vietri sul Mare, Ravello and Sorrento, and the archaeological sites of Pompeii and Herculaenum.